Carried Interest Tax: How Much Does It Matter? President Donald Trump’s tax plan will likely curb the carried interest tax “loophole” after all. 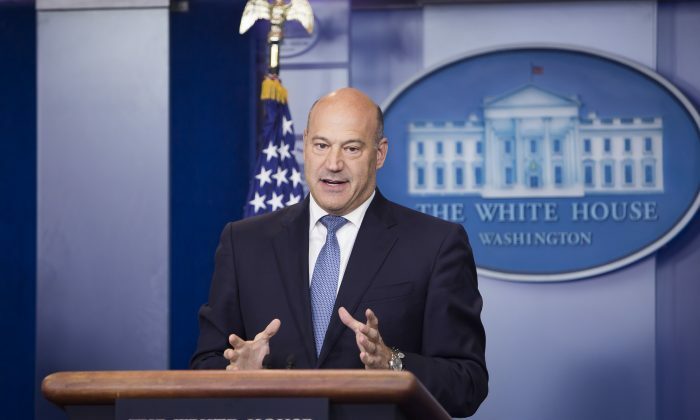 “As we continue to evolve on the framework, the president has made it clear to the tax writers and Congress … that carried interest is one of those loopholes that we talk about when we talk about getting rid of loopholes that affect wealthy Americans,” Cohn said. The headlines seem momentous, but the details reveal that fixating on carried interest may be misguided, and the real discussion should focus on partnerships and pass-through taxation. Ordinarily, carried interest is something most of the general public will probably never encounter or hear about. It’s most pertinent to alternative investment managers—entities that manage hedge funds, private equity (PE) funds, and venture capital (VC) funds. Carried interest, or simply carry, is the portion of a fund’s profits paid to the investment manager. Fund managers traditionally charge investors “2 and 20,” which means 2 percent for management fees and 20 percent of profits, usually above a minimum preferred-return rate. Today, the “2 and 20” rule is more flexible, with some investors demanding lower fee rates from managers. The 20 percent profit allocation is carried interest. Currently, tax authorities treat carried interest as long-term capital gains, making it eligible to be taxed at a much lower rate than ordinary income—as low as 20 percent. Why is carried interest considered to be long-term capital gains? The answer hinges on the theory that carried interest earned is not a fee or salary for an investment manager’s services, but capital appreciation borne from the manager’s skill in growing the underlying businesses (through investments) over time, a risky endeavor that contributes to job growth and business innovation. Opponents of carried interest tax argue that earnings derived from such sources should be taxed similarly to other income, which carries a 39 percent tax rate at the highest level. The 1 or 2 percent in management fees generally cover operating expenses and overhead of the investment manager, but the real windfall comes through the allocation of profits. With that in mind, it’s easy to envision a successful investment manager earning most of its income in the form of carried interest. And that’s how an arcane term from high finance has been thrust into the center of Trump’s tax reform debate. There are a few more wrinkles that make carried interest unique to the tax reform discussion. In 1954, the U.S. Congress enacted laws making money distributed by partnerships nontaxable. That means unlike corporations, owners of partnerships would not be double taxed—once at the corporate level, and once at the personal level. Most investment managers are structured as partnerships or limited liability companies, or “pass-through” entities for tax purposes. Similarly to most small businesses, profits and losses at investment manager partnerships flow through the business to be taxed on the owners’ personal income tax returns. Looking closely at Trump’s tax plan released in September, one can see that it does speak to carried interest, just not directly. The tax treatment of profits among investment managers is not universal. “The framework limits the maximum tax rate applied to the business income of small and family-owned businesses conducted as sole proprietorships, partnerships, and S corporations to 25 percent,” according to the “Unified Framework for Fixing Our Broken Tax Code” released on Sept. 27. Taken at face value, most investment managers would fall under this rule. Carried interest profits, being partnership allocations, would be taxed at 25 percent—potentially higher than current capital gains rates, but far lower than taxes on salaries—unless additional measures are enacted. The tax plan does speak to additional rules “the committees will adopt” that could limit high earners from realizing the 25 percent rate on income streams such as carried interest, but no additional details were provided. Another key point to understand is that the tax treatment of profits among investment managers is not universal. Most media reports state that increasing the carried interest tax rate forces hedge fund managers to pay higher taxes, and most of the narrative is around hedge funds. This characterization is mostly inaccurate. Many hedge funds do not have carried interest at all. A sizable portion of hedge funds buy and sell heavy volumes of highly liquid instruments, and receive the majority of income in incentive fees arising from short-term trading gains, dividends, or interest. Those are generally not long-term capital gains for tax purposes. In addition, many funds elect taxation under mark-to-market, by recognizing trading gains as ordinary income taxed at higher rates than carried interest. Hedge funds have other ways to shelter gains, which is a different topic entirely. But the partnership rule in Trump’s tax plan—before any further limitations to wealthy taxpayers—would actually decrease most hedge funds’ prevailing tax rates. But to PE and VC investment managers, carried interest is hugely important. 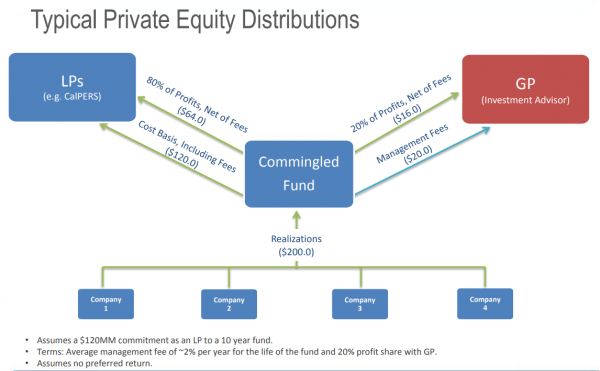 PE and VC managers take controlling equity stakes in companies and receive most of their profits via capital appreciation and carried interest. As is, the Republicans’ tax plan could increase the tax rate slightly on carried interest to the new partnership rate. So far, the carried interest tax discussion can be viewed as a debate pitting PE and VC managers against hedge fund managers, which is meaningful for a small portion of the population but probably not a debate concerning most. The real crux of the matter is partnership taxation. How Congress intends to tax flow-through interests to wealthy taxpayers will be the key battle to keep an eye on.